I grew up in a church system and for as long as I remember, always believed in a God. One memory I have was as a young child laying in my bed asking God to send me a sibling. I was lonely as an only child and desperately wanted to have a brother or sister (I never did get a sibling in case you are wondering). As I got older my reliance on God was the same, he was someone that I thought of and prayed to when I was either scared or needed something. I had no relationship with him and knew nothing about him. Around the age of 27 all that changed when I became a born again Christian. My interest in this thing that I had only heard of , called the Bible, had been building over the prior few months and I realized that there was a way I could actually “get to know” God. Although I had been exposed to some basic Christian teachings during my upbringing, it had no meaning, I never really understood. The Bible was like a treasure chest of knowledge about God’s plan for all of creation and how I fit in. God created the world and man, but when man sinned, there was a chasm between a sinful man and a Holy God. 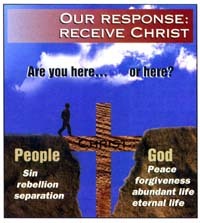 There was only one way for God to bridge the gap and that was through Jesus and his death on the cross. I too am a sinner (we all are) and when I realized that, I was able to accept Jesus as my Savior and became a true child of God. Praying to an unknown entity throughout my life was not good enough, I needed the Savior in my life. While being saved was the most important effect of the Bible on my life, I continue to cherish God’s Word, which is what the Bible is. It was written not by men but through men by God as an account of his plan for his creation. But it reads not like an instruction book but as a glorious unfolding of God’s will to redeem men through his Son. While it is simplistic in its overall theme (everything points to the Saviour) it has a depth and beauty that are overwhelming. No contradictions, many fulfilled prophecies, and layers of symbolism that no man could ever write.